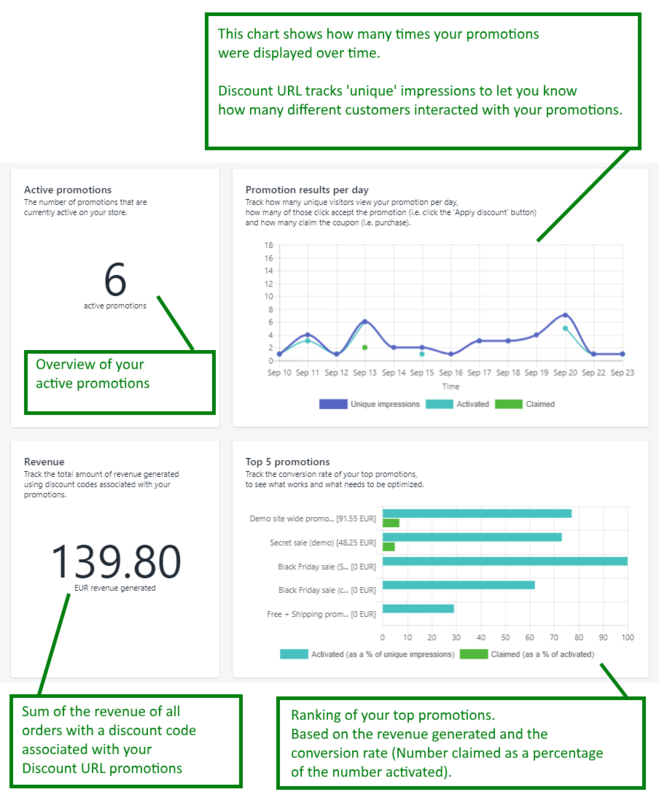 Discount Ninja tracks how the visitors of your store interact with your promotions. This enables you to test, measure and optimize. Note: please refresh your stats before starting analysis. Number of unique impressions: the number of unique web sessions during which your promotion was served. Number of activations: the number of visitors that clicked the "Accept" button.